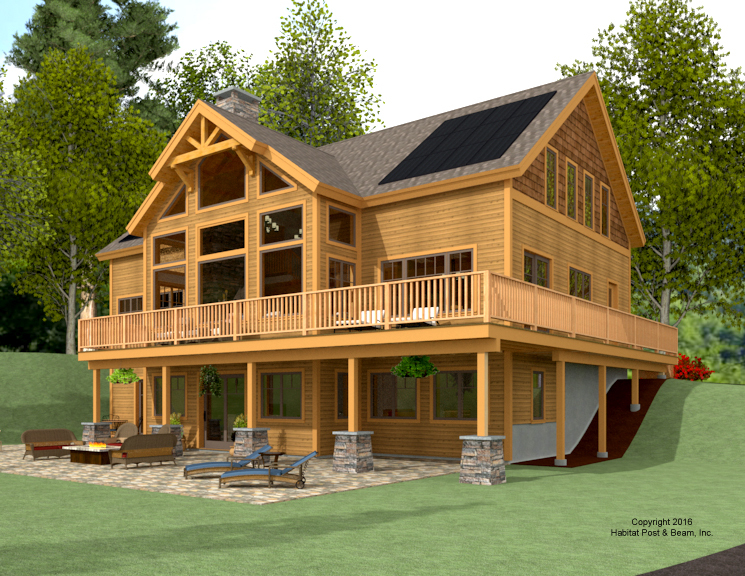 This custom five-bedroom home with garage/guest house (garage is by others) will be built in northern Vermont. The main level of about 1600 sq. ft. has a center section with a beamed cathedral ceiling in the great room, and an entry/spacious hall in the back; a center stairway is between. One side of the main level houses a master bedroom suite, and the other the kitchen/dining and laundry area with half-bath. Upstairs (about 1200 s.f.) has three more bedrooms with cathedral ceilings, an additional full bathroom, and a loft and office area. The upstairs hallway area is open and looks down onto the living space below. 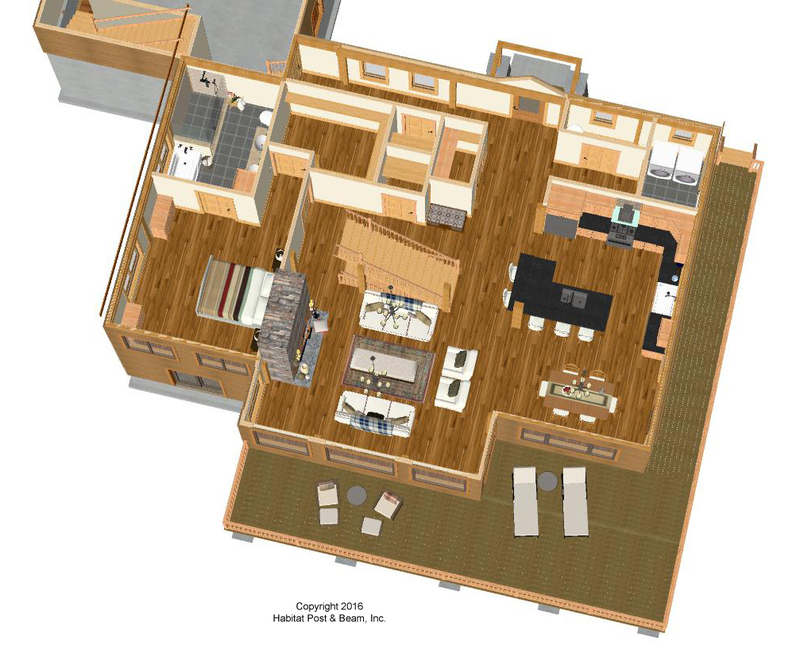 A walkout basement level is designed for a game room, utilities, and an additional bedroom and a full bath. 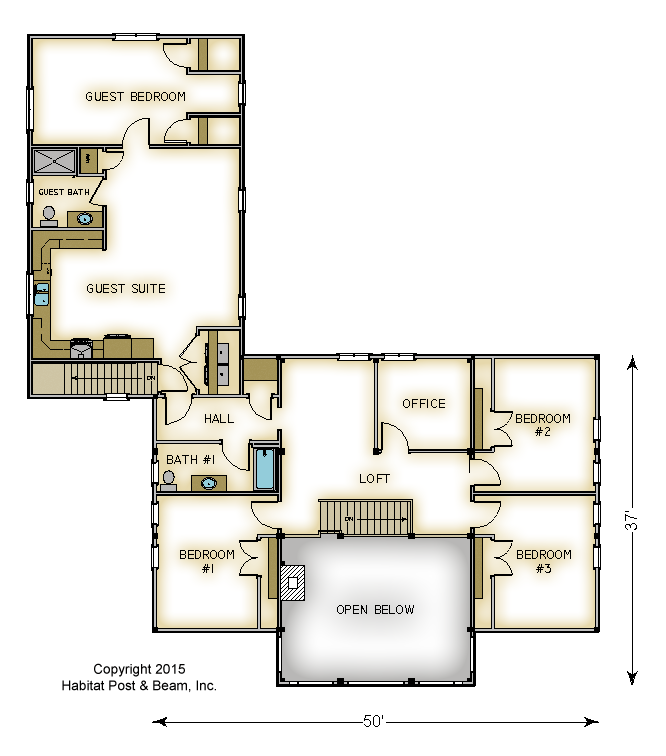 The attached two-car garage (not included by Habitat) doubles as a guest suite with a fully equipped living/kitchen/laundry area on the second floor, and a bedroom and bath. Note - computer renderings are from the first design created, actual structure was built according to final plan design, and may differ from these initial sketches. Package Price: $224,000 as specified below (from $192,000 to $241,000 depending on framing options). 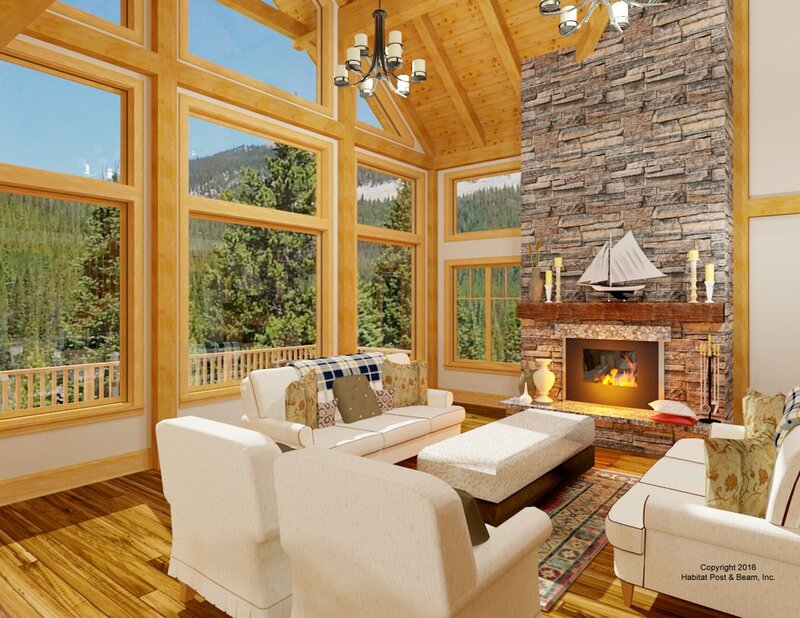 The standard price includes our Full Exposure Wall System, Plaster and Beam or Beamed Mid-Floor System (same package price), our Beamed Roof System over the center section, and our Plaster and Accent Beam Roof System over the bedroom wings. The entry porch is our Beamed Porch System. 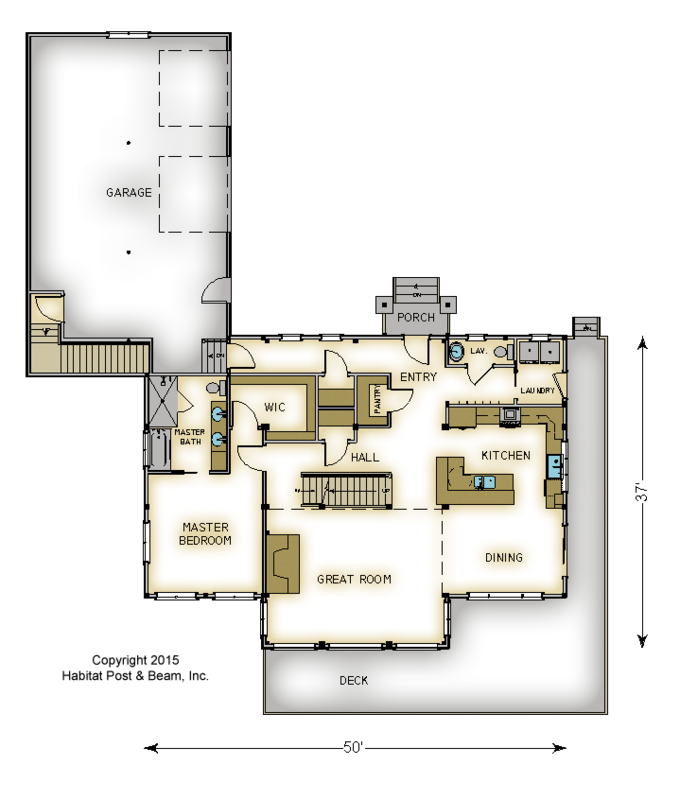 The walkout level (daylight basement) and garage are not included in the above pricing.